Welcome to Episode 064 of the #PaxEx Podcast, which tracks how the airline passenger experience is evolving in a mobile, social, vocal world. 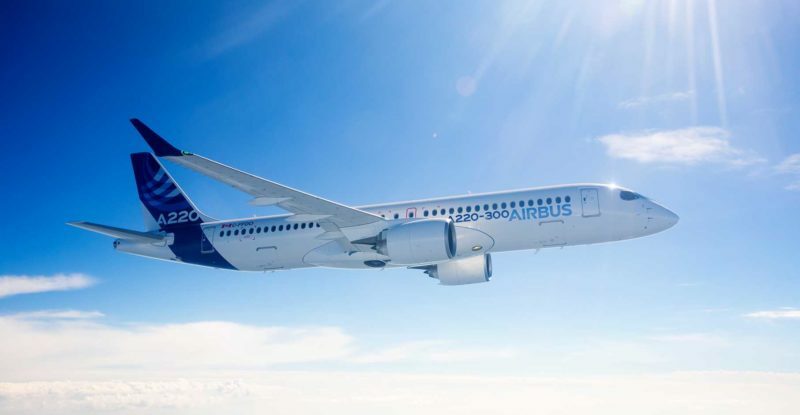 In this episode – available on Apple Podcasts and Google Podcasts – co-hosts Max Flight and Mary Kirby discuss whether Airbus is seriously considering stretching its A220, and what that might mean to the passenger experience and the future of the Airbus A319. Next, the National Transportation Safety Board has issued its Most Wanted List, detailing its safety recommendations for 2019-2020. Among the action items the NTSB would like to see prioritized over the next two years, the board is calling on the FAA to address the gap in safety requirements between commercial airlines and those operating under Part 135 for air tour, air medical service, air taxi charter or on-demand flights. While it’s true that NTSB recommendations are just that – recommendations, this particular recommendation is noteworthy. Max explains why. Last but not least, airlines are looking at creative ways to partner with brands. In recent weeks, American Airlines has announced an arrangement that sees the carrier offer Apple Music for free to passengers on all aircraft equipped with Viasat high-speed Internet. In China, a carrier called Lucky Air teamed with McDonald’s on a very different kind of promotion for the Chinese New Year – the airline slapped McDonald’s brand throughout its aircraft, engaged in inflight trivia games with its passengers, and provided giveaways linked to the promotion. Now the inflight entertainment and connectivity industry is looking to place personalized, targeted advertising in front of airline passengers. Mary recently attended the APEX TECH conference in Los Angeles, where programmatic advertising for IFEC was a big topic of discussion. She updates us on their plans, and Max and Mary consider the impact on #PaxEx. Stretching into a two-class 160-passenger A220-500 would essentially provide airlines with a major advantage when faced with increasing fuel prices. The wings of the A220 would easily accommodate a stretch, but Airbus and Bombardier should look at adding raked wingtips, more fuel and boost engine thrust in order to give the plane a competitive edge in takeoff performance and range. The CSeries/A220 is an incredible aircraft that was developed with no compromises, a feat that took Canadian aerospace engineers 12 years, and Airbus should not waste another day in its plans to stretch this plane.